News from the Pirate101 Skyways came out a few weeks ago and we’ve received word that not everyone has heard the news. There has been a great many improvements and updates around the Pirate Spiral and some of those could have impacted your ship’s crew. 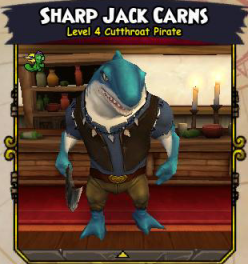 This entry was posted on July 7, 2013, in News and tagged companion, news, Pirate101, Pirates, reset, training, update. Bookmark the permalink. ← New Contests For July!